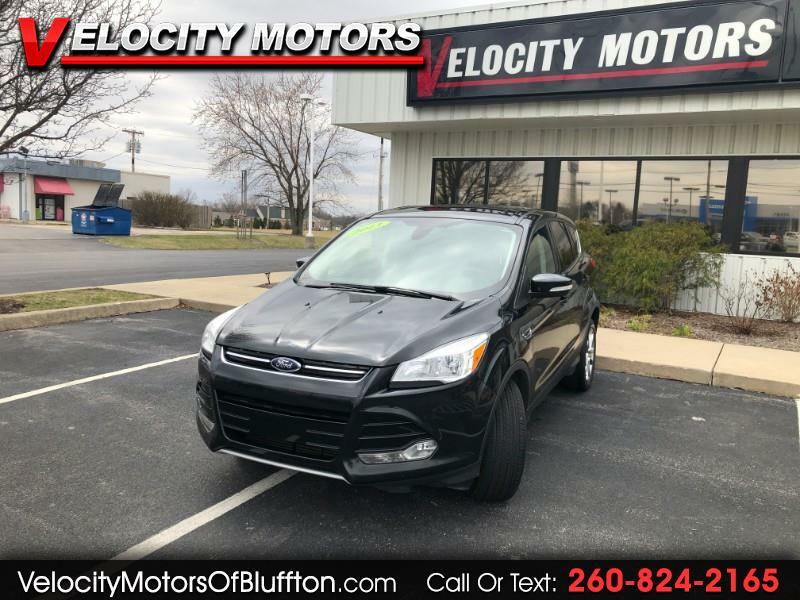 Used 2013 Ford Escape SEL FWD for Sale in Bluffton IN 46714 Velocity Motors, Inc.
***LOCAL TRADE-IN***CLEAN CARFAX***WELL EQUIPPED***This is a very clean Ford Escape that was traded in to us. HUGE moonroof, touchscreen radio, EcoBoost engine, leather seats, heated seats and more!! You don't want to miss out on this Escape!! Come in and take it for a test drive today!! Velocity Motors is a one-stop shop when it comes to purchasing a vehicle. We service and detail all of our vehicles before they get to the lot. We offer in-house financing and extended service contracts on all of our vehicles. Reach either Steve or Kramer during open hours at 260-824-2165 and after hours Steve 260-433-5072 and Kramer 260-223-4496.